Solid waste management remains a serious problem in most of less developed nations, while it consumes a larger portion of municipal budgets. 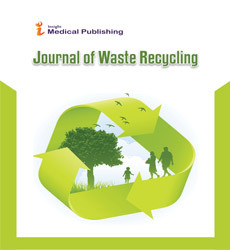 This paper examines the households’ determinate factors for solid waste generation and WTP for better SWM system of households in Bahir Dar city. The data were subjected to both descriptive and econometric technique of analysis. Stratified and simple random sampling methods were used to select 196 households for primary data collection. Multiple linear regression analysis was used to determine households’ solid waste generation determinant factors and legit model for their WTP ability analysis. The result shows that mean weight waste generation by sample households was 0.22 kg per capitated day. The result shows only 53 (47.3%) households received solid waste management services by municipality waste collectors weekly. While 18 (16%) households, 29 (25.9%) households, 12 (10.7%) households received solid waste management services within 15 days, 21 days and once in a month, respectively, and 84 (43%) residents never received solid waste collection, transportation and final disposal in to landfill services until this interview was made. Only 31% of sample households have separate bins and the remaining households do not have separate bins for storage of different types of waste separately for simple waste management purpose. Results multiple linear regression showed that household size and household total income were determinate factors of households solid waste generation in the study area. Most households 86.2% are willing to cooperate with the government in financing solid waste management in order to improve this condition. The average monthly willingness to pay is Birr 11.30 Birr per month per household and it shows difference across zones. The willingness to pay is higher in the inner and lower in the outer zone. From legit model analysis, the main determinate factor of households “Willingness to Pay” is income. The result of this study suggests there is a good chance of success if solid waste management service charges are introduced, and these charges should take into consideration both households ability and willingness to pay.